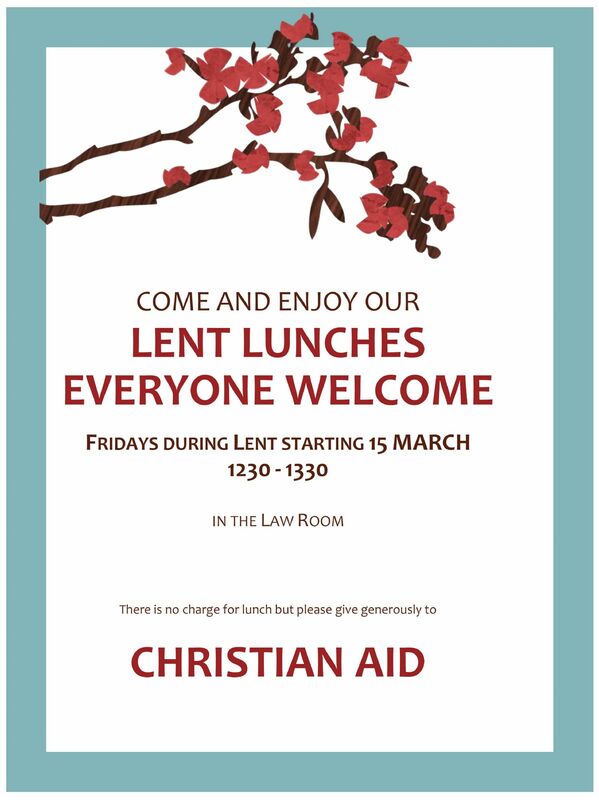 As for the past four years, the Benefice will be hosting Lent lunches at South Harting Parish Church on Fridays during Lent (1230 to 1330), excluding Good Friday. These will start on the 15th March, continuing through the 22nd & 29th March and the 5th and 12th April. There will be no charge for the lunch of soup, bread, and cheese, but donations are invited. Previously, significant sums have been raised for various worthwhile projects. This year, we plan to donate the money raised to Christian Aid. This charity does immensely important work. So, please come along on Fridays in Lent if you can. You will enjoy a delicious meal, meet friends and neighbours, while contributing to worthwhile causes.